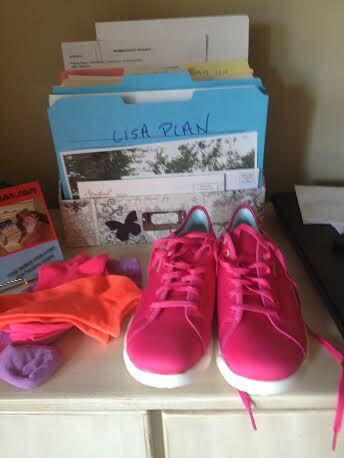 Key parts to Lisa’s food plan (not a “diet” but a way of eating for life.) are mini-meals and exercise. Just trying to stay even is a struggle as we age. I had an early, surgical menopause, and then weight loss got really challenging. About the same time, I transitioned into many more writing hours after an super-active life. These events did not do my body any favors. Hence, the plea to Lisa for help. Lisa’s mini-meals are 150 calories (600 calories for four) then a normal dinner (depending on how many calories your body needs to consume to lose weight). I tried eating just 150 calories and was hungry after an hour. Always. Lisa said if you play with your plan, you won’t be hungry, but you have to find what works for you. She eats at 8, 10:30, 12:30, then 2:30 or 3. If dinner is after 5, she’ll have another mini and take it off her dinner calorie count. When I told her I was hungry after an hour her advice was to not just have a small yogurt or piece of fruit but combine protein and carb. Her suggested menu for me was a whole cup of cooked oatmeal at 8 am, cup of yogurt mid-morning, a sandwich using those great wheat rounds (tuna salad made w/yogurt, egg salad, peanut butter w/sliced banana) at noon, and another snack at 3 with a regular dinner. And you know, that works for me. I swap out the first meal, and just have yogurt and fruit, then later, when hunger kicks in, I’ll have oatmeal or a sandwich, depending on what time it is. I eat more than 150 for my mini-meals, maybe 200, so I have three instead of 4. It’s important to listen to your body and what IT needs when. Everybody’s different. Find your own mini-meal path. It’s no secret yoga is my exercise of choice and as my teacher said last weekend “you’re as young as your spine is flexible” so, you know, yoga is good. It’s good for mind and body and I love feeling open, balanced and at peace, all of which yoga gives me. But I do want to add in some cardio, because one of the things I want to do more of is get out into the world. Lisa loves dance, she went of U of M for dance back in the day and has always been a dancer. I like to dance at parties to music, not in classes where everyone has to follow a pattern. Patterns confuse me. Lisa swears by Zumba. Maybe some day I’ll try it but for now I’m going to walk. One of the things that inspires me is to have the right equipment for the job at hand, be it a good kitchen knife and cutting board (for all those veggies I chop) or a pair of sneakers that really do the job. You know walking shoes are ugly, right? Well, my last pair were. So I was thinking, hmmm, maybe hiking boots. But really, me, hike? I want to, I really do, but I don’t think it’s going to be happening before our Seattle trip, where we will be walking a lot, so I took myself to Kohl’s and got these babies pictured above. They’re stronger than they look, not canvas but a thick soft material and all gel inside. Toe heaven:) I’m so excited about these shoes I’ll probably go for a walk later today. Speaking of excited, exercise is also a great mood lift. So if you are down about your inability to lose weight, get moving and accomplish two goals at once. Lisa is a great cook and I’ve been her dinner guest a number of times. She knows I’m a vegetarian, so she caters to me (I know, lucky me!) and will cook fish with yummy sides. Tomato Bisque Soup: to 1/2 cup add cup of veggie crumbles, 1/4 C water, 1/4 C chick peas, sprinkle of parmesan cheese. Roasted Veggies: 375 oven, lay veggies of your choice on foil, drizzle with olive oil, wrap tight in two pieces of foil for an hour, take top foil off bake 25 minutes more. Apple Cup: cut up apples, microwave with a few cinnamon red hot candies, stir. Crumble half a graham cracker, stir, and top with whipped cream. Lisa … could not have done without her support!